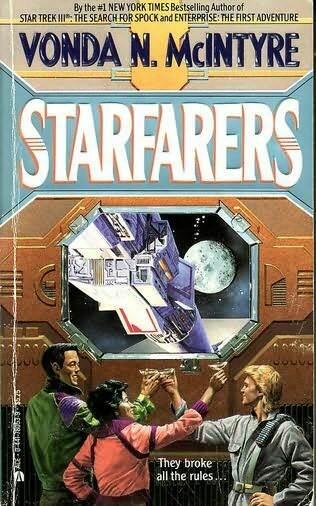 Starfarers is the story of a group of people who find themselves on a journey across the stars. For some that was their intention and for others it was the path circumstance led them down. They are scientists and artists for the most part. As Starfarers is the first book in a series so there are two stories. The series story is the one of what happens to these humans when they leave our solar system and can they maintain their ideals while they do it. In the first book, the story is how the characters overcome the internal and external obstacles to starting their journey. McIntyre makes an effort to present a future in which humans act differently than they do now. Three of the main characters are in a polyamorous relationship which was once a group of four but they are grieving the death of the person who was at the centre of the relationships. I liked the depiction and I thought it came across convincingly. Each member has to manage their intimate relationships and also manage the group dynamic. That wasn’t portrayed as something too difficult but it also wasn’t swept under the carpet. The characters are highly emotionally intelligent and that helps. I liked that it was presented as a slightly old-fashioned relationship in that it was formalised. 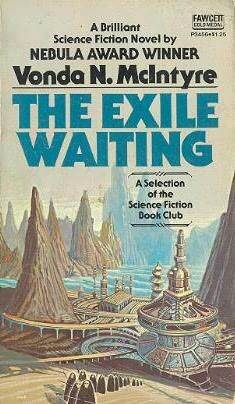 The politics of this future world are described in the ways they impact the ship. It’s a research facility primarily so when countries don’t want to support it’s aims they pull finding and it affects directly the lives of the people on the ship. Their friends leave and they can’t get the supplies they’re used to. The ship believes itself to be egalitarian, but one character is a gardener and he observes that the academics don’t mix with the custodial staff so it’s not as free and equal as they’d like to think. There’s a fair amount of exposition in the book but for me I found it interesting and thought it was well-handled as character development and worldbuilding. But this is a vision of a future I’d like to buy into so perhaps I wouldn’t have thought that if McIntyre had been exploring different ideas. I enjoyed the worldbuilding and I found the characters real and engaging. I’ve been acutely aware of the monoculture of most of the books I’ve been reading and the conspicuous diversity, at least in gender, ethnicity and sexuality, was refreshing. Clearly this is the first in a series and it is setting up what is the real story – due to political tension on earth the ship and its scientific mission is under threat and eventually the US tries to take it by force. They want to use it as a military base. As the ship is weapon-free their only alternative is to run – to start their mission understaffed, under-supplied and underprepared. It may only be the first peril they face on their journey but it was full of tension. I enjoyed this very much and am keen to read the rest of the series, although the current book-buying embargo might mean that doesn’t happen for a couple of years.